Garage Door Bottom Weather Seal EPDM "T" Rubber 9-ft.
CLOPAY Garage Door Bottom EPDM Rubber Weather Seal 9-ft.
Windsor Vinyl P-Bulb Garage Door Bottom Weather Seal 9-ft.
Ultra Rubber Garage Door Bottom T-End Weather Seal 9-ft.
Wayne Dalton Garage Door Bottom Bead End Rubber Weather Seal 9-ft.
Garage Door Bottom Weather Seal Bulb-Type EPDM Rubber 9-ft.
Garage Door Bottom Weather Seal “P” Bulb Vinyl 9-ft.
We have the right types of 9-ft. garage door weather seals for every 8-ft. garage door bottom at the lowest prices at Garage Door Supply Company. 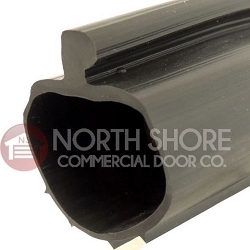 Choose inexpensive vinyl T-bulb weather seals or more durable EPDM rubber cold weather garage door bottom seals that can withstand temperatures ranges from minus-50 degrees Fahrenheit, and hot temperatures as high as 350 degrees. Shop our bead-end, "T" bulb, P-bulb and other styles designed to fit your garage door bottom double or single retainer. Our weather seals block drafts, and keep costly pests, water, dirt and dust from entering your garage. 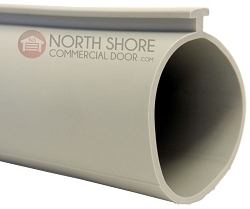 Find the lowest prices on top 9-ft. garage door bottom weather seal brands like Clopay, Windsor and Wayne Dalton for residential and commercial garage doors. Replace your worn or cracked T-style bulb bottom seal with a T-bulb seal. If the old seal is round, choose a bead-end or P-style end weather seal to fit the bottom of your garage door. 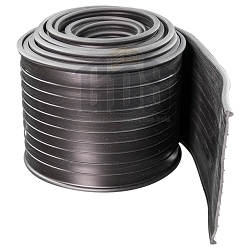 We also have Ultra Rubber T-end garage door bottom seals for maximum durability in 9-ft. lengths. 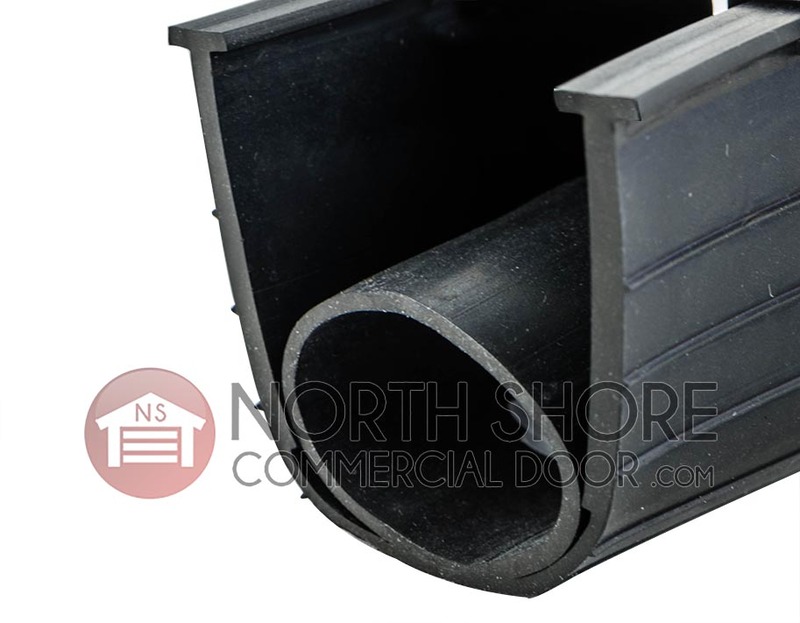 For larger garage doors, shop our different lengths in bottom seals.